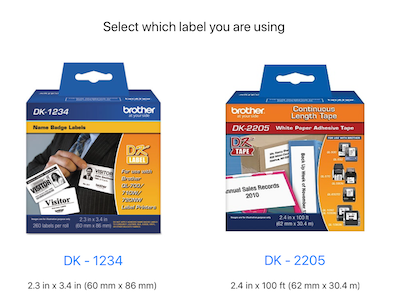 Follow the instructions from Brother to get your printed connected to your network (QL-700 & QL-800 series). On the iPad open Visitor Log, tap "Settings" on the top-left corner and then tap "Setup Printer"
The next view will search for the printer. This step takes approximately 5 seconds. When the printer is found. Tap on it to selected.